About about 24 soccer fields of forest were cleared per day since the end of September. Clearing began in 2015, with large, new, cleared areas appearing in intact forest in July. A representative of the company behind the project said that they expect to cultivate sugarcane on 11,700 hectares by 2023. The plantations are located 12 kilometers from Madidi National Park, and members of local communities report damaging environmental impacts. 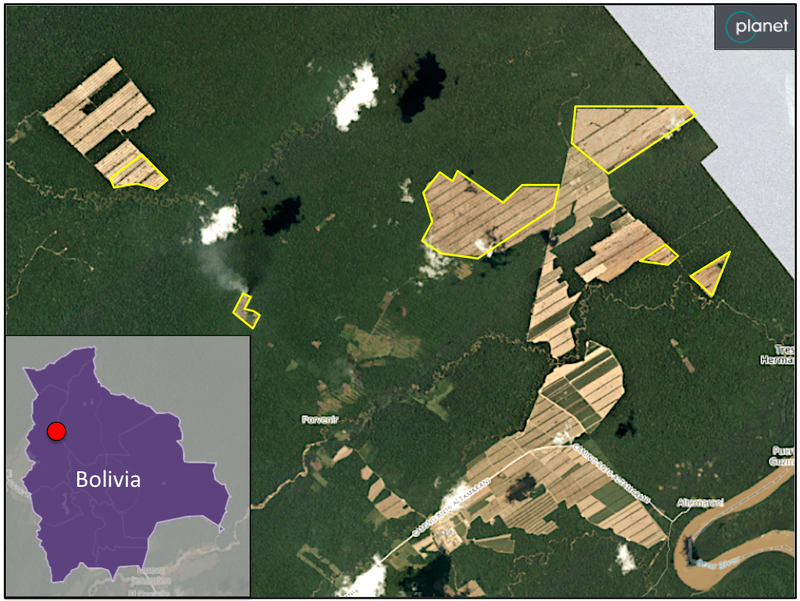 In northern Bolivia, a sugarcane operation is carving large plantations out of rainforest. New imagery shows that forest loss has ramped up over the past month, with around 700 more hectares cleared since the end of September. The plantation expansion is occurring 12 kilometers from Madidi National Park, considered one of the world’s most biodiverse protected areas. 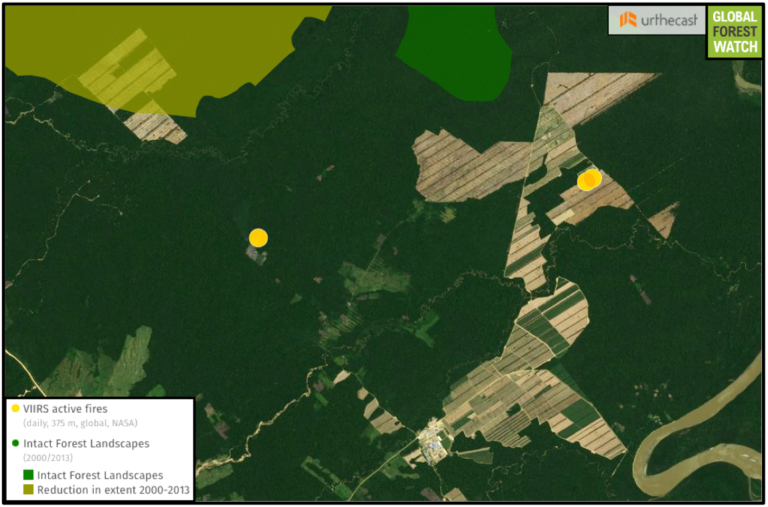 Data from the forest monitoring site Global Forest Watch show that some the forest loss from this expansion happened within a particularly large, undisturbed tract of forest called an Intact Forest Landscape (IFL). Satellite imagery indicates this most recent surge of clearing is approaching another IFL lobe, and was less then one kilometer away as of November 5. 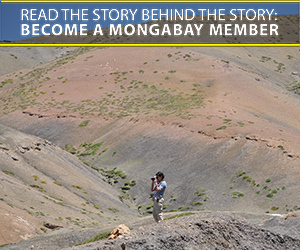 On-location reporting by Mongabay-Latam in late September found that the plantations and nearby sugar refinery are owned and operated by Bolivian company Empresa Azucarera San Buenaventura (EASBA) and were built by Chinese company Camce Union Engineering (CAMC). The Bolivian government has invested $263 million in the project, with the goal of encouraging domestic sugar production. Inaugurated in October 2015, the 2016 harvest is expected to produce 14,000 metric tons of sugar and one million liters of alcohol from about 1,300 hectares of plantation land, according to Ramiro Lizondo, general manager of the sugar refinery. Lizondo told Mongabay-Latam that EASBA is planning on upping that to 120,000 metric tons of sugar – and 11,700 hectares of plantations – by 2023. In-step with this goal, satellite imagery shows an uptick in forest clearing over the past few months with a 240-hectare square cut from intact forest In July and September. Another 600 hectares show clearing activity in an area where expansion had previously been centered. Several of these areas have been expanded and new ones have appeared since September. 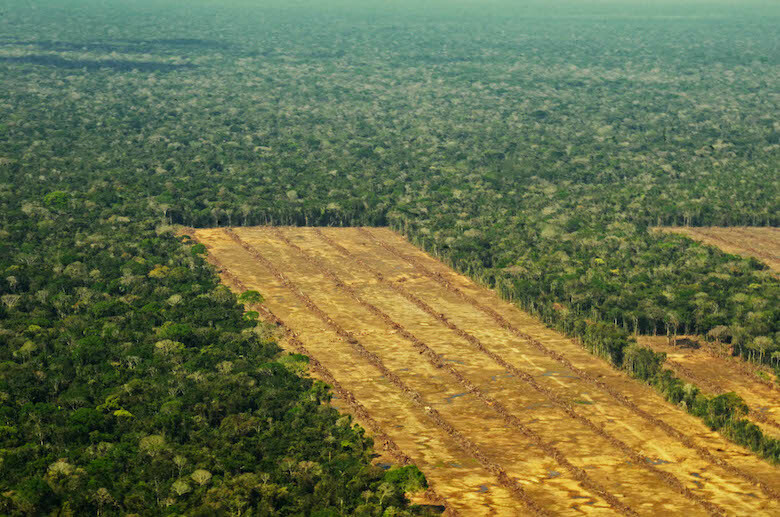 Analysis by Mongabay via satellite imagery from Planet Labs indicates around 700 more hectares of forest were cleared between September 27 and November 5, averaging to around 24 soccer fields of deforestation per day. Some representatives of local communities interviewed by Mongabay-Latam said that the plantation expansion is not having harmful effects and is taking place on already-degraded land (the latter claim is not supported by land cover data). Others see it differently. Imagery from Planet Labs captured November 5 shows several new areas of forest-clearing (outlined in yellow) totalling around 700 hectares since late September. Two of these new areas of clearing are approaching part of an Intact Forest Landscape (IFL), which was undisturbed as of 2013. Intact Forest Landscapes are tracts of primary forest that are particularly connected and undisturbed. Fire data from NASA show three fires have occurred in the past week (11/9 to 11/16), indicating plantation clearing activity. Editor’s note: A previous version of this story mistakenly stated that the sugar cane plantations and refinery were operated by Camce Union Engineering (CAMC). This has since been corrected.